REDP co-developed a 585 kW landfill-based PV facility for a Massachusetts municipality located south of Boston. The project, which REDP developed with a major national EPC partner, will generate sufficient electricity to offset a large portion of the electrical needs of the Town at a substantial reduction in cost from current retail electricity rates. The project is situated on a closed municipal landfill located adjacent to the Town’s solid waste transfer station. The project was designed using a ballasted racking system to preserve and protect the engineered landfill cap, and the design was developed to avoid conflicting with the Town’s active use of the adjacent transfer station. The project includes over 2,000 PV modules arranged in rows over approximately 3 acres of the closed landfill. The row spacing, module height and ballasted racking methodology were all designed to minimize or avoid landfill cap impacts, and to ensure that the grassed surface of the landfill continues to serve its function as a stormwater management system. The project is interconnected to the local NSTAR distribution grid in a net metering configuration, and the electricity output is net metered for the benefit of the Town. 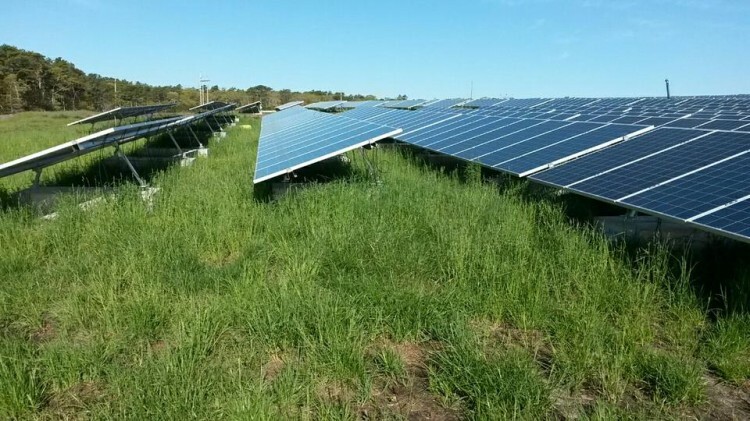 The project is eligible to participate in the Massachusetts Solar Renewable Portfolio Standard (SREC I), and is expected to generate over 700,000 kilowatt hours of electricity annually, enough to satisfy the electricity needs of over 100 homes. REDP was awarded the project after a competitive solicitation by the Town, and subsequently negotiated the terms of a land lease and power purchase agreement. REDP secured all required permits for the project, including land use approval from the Town; interconnection approval from NSTAR; approval from the MA Natural Heritage and Endangered Species Program and the MA Department of Environmental Protection; and SRPS eligibility from the Massachusetts Department of Energy Resources.